The comic is set in the official Tekken universe, but with the traditional Penny-Arcade humor we all know and love. Tekken 6 will feature an online two player co-op campaign that plays in a similar fashion to old school beat em ups. For the first time players will be able to not only punch and kick, but pick up weapons like guns, staffs, flamethrowers and even giant robots to use to dispatch enemies at will. 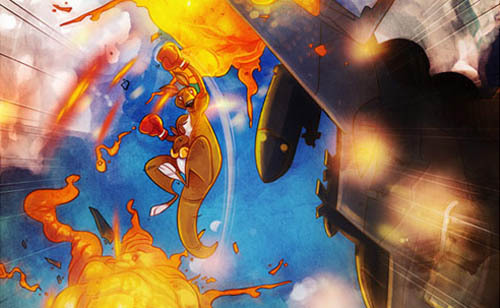 I'll just take the giant Kangaroo that punches fighter jets. Page created in 0.2951 seconds.